No doubt you’ve heard quite a bit about the movie entitled The Revenant. Knowing it was based upon a book, I decided I’d try to read it before seeing the film. I am very glad I did. The Revenant is a story of revenge, pure and simple. It’s also mostly based upon a true story. Punke is forthcoming that some characters were created for the purpose of narrative, but the tale is largely constructed upon testimony and research. It’s about Hugh Glass, a man left behind by his fur trading party in 1822 as they traversed the wild frontier. He’d been attacked by a bear in the wilderness, and no one thought he’d survive, especially the two men tasked with burying him after he finally died. They didn’t wait for him to die before they left, though, and they took something from him, something he wanted back and would kill them for stealing. This book is a fast, exciting, action-packed read that flows incredibly well especially considering how much information it seamlessly infuses. Punke is careful to provide ample backstory for each major character, and he does so both creatively and in a manner that only enhances the overall story. The book is so much more satisfying than the movie. Hugh Glass is no hero, certainly not as the movie depicted, and his quest for revenge had little to do with any sense of love, honor, or family. The film significantly departed from the book in nearly all cases, and I don’t understand why. Had it stuck word for word to the book, it would have been far less cliched and far more complex. After all, few of us are heroes, and many of us become obsessed for rather selfish reasons. Glass is no exception. His flawed character coupled with his indomitable will to survive makes for a fascinating read. 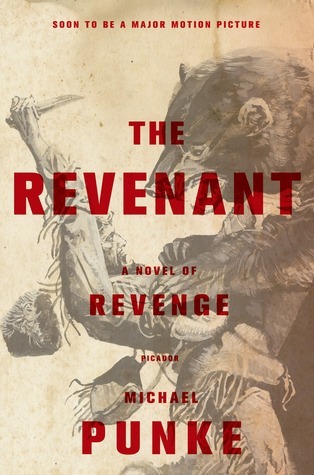 This entry was posted in Book Reviews and tagged arts, books, entertainment, literature, michael punke, nonfiction, read, review, the revenant.